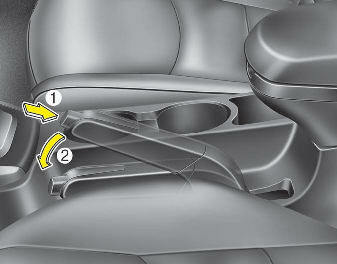 To release the parking brake, first apply the foot brake and pull up the parking brake lever slightly. Secondly press the release button (1) and lower the parking brake lever (2) while holding the button. If the parking brake does not release or does not release all the way, have the system checked by an authorized HYUNDAI dealer.